Most of the information on songwriting and music theory actually harmsyour musical abilities. And in the next few minutes I’m going to tell you exactly why this is the case, and also the key to avoiding this and exploding your songwriting abilities. The truth is, right now whether you realize or not, you have genius-level musical ideas, understandings, and abilities within you. And if you can discover how to tap into these abilities your songwriting will be taken to soaring new heights within the blink of an eye. Unfortunately though, as I began this article I mentioned that traditional songwriting methods and theories do nothing but BLOCK your ability to access these incredible resources. Music theory has you forever looking outsideof yourself for ways to compose music. And as soon as you take this “formulaic approach” to writing music you are in serious trouble. The thing is, as long as you are looking outside of yourself for answers, you’re taking the focus off where the real magic is. Inside your very own head. If you’ve read any of my work before you will realize that I take the “Socratic” approach to writing music. Socratic Method acknowledges that everything you need to create genius level music is already within you. You already have a strong opinion for what music should sound like in it’s most perfect form. You also have the ability to generate idea after idea that supports this idea of “perfect music”. But unfortunately, traditional music theories and songwriting concepts are taking your focus OFF of this natural ability you have. Your job is to learn how to go inside your own head and draw these musical ideas, understandings and abilities. In this article I want to give you a specific example of how normal methods of songwriting are so damaging to your ability to write music. Also I want to give you the “flip side”… an example of what happens when you change your focus and begin drawing your musical inspirations from within. In fact, let’s start with the “flip side”. Sit quietly in your seat, and in your mind… begin playing some music. It can be anything you choose… one of your own pieces or maybe a favorite track. Now, as you do this… how clear is the signal? Can you hear everything clearly? Or is everything a bit muddled? 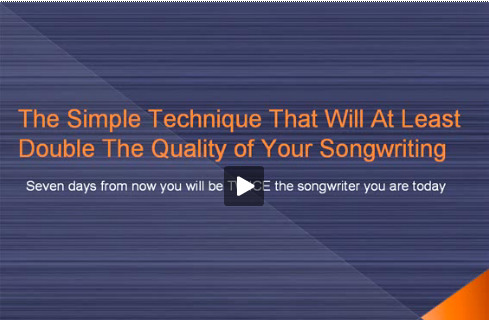 Believe it or not, what you’re practicing right now is a skill that’s crucial to songwriting. And when you take this “drawing from within” approach… the Socratic way of writing music… The musical signal in your head will become crystal clear. You will begin to notice music playing inside your head in stunning detail. You will also get much better at noticing the ideas that occur to you that are very subtle. When you just performed the exercise before, you probably noticed that some of the elements were a little subtle. They may have been a bit hard to make out. Well, with the correct training you will find it MUCH easier to be receptive to these subtle signals. You will be able to decipher them easier and they will be much clearer and obvious to you. When you create music, your brain continuously sends you subtle signals just like the ones you just noticed. And it’s usually in these subtle signals that your most brilliant ideas lie. This is the reason some musicians go on to reach genius level while the vast majority fall far behind. These “geniuses” are sensitive to the subtle musical signals generated by their brains. They tap into these signals, and use the rich, inspirational ideas within them. More and more research studies are showing that the difference between a genius is more a case of them being able to tap into certain resources in their brains… resources that you and I have as well. And here’s the simple change. You need to being “looking within yourself” for your song ideas. You can get an in depth approach including techniques and exercises in my songwriting course The Songwriting Genius Within You. 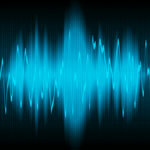 The bottom line is, your mind already knows how to create magnificent musical ideas… both lyrical and musical. All you need to do is begin tuning into these ideas. And when you do this, you’re ability to hear music in your head in stunning detail gets better and better. After a few short weeks of this training you’ll be astounded at how easily you can tune into the musical impressions in your mind, and use them to construct masterpieces, over and over again. Also, one of the most miraculous things about this method, is you’ll notice ideas simply occurring to you “out of the blue”. Many people associate creating a song with lots of hard work, strain, and frustration. If you do things correctly though, it’s quite the opposite… It’s more of a “watching game” than anything else. You simply notice when a musical ideas begins “playing” inside your mind. Then you sit back, and enjoy yourself as this piece of music is seemingly “written” for you, with no effort on your behalf. By now you can probably see how trying to “piece together” chord progressions and second hand songwriting ideas is just a distraction from the wonderful creativity that streams through your mind all the time. Another important concept, which I won’t get into too deeply for fear of stretching this article too long, is you get more of what you reinforce. This means as you adopt this new way of writing music and lyrics, the volume and quality of your ideas will continue on an upwards spiral. These are the strategies that musical geniuses themselves follow intuitively. Over and over again, principles such as the one I’ve just described to you were used by these amazing musicians. I’ve compiled all of these principles into a course that contains simple exercises and techniques that will “draw out your inner genius”, causing you to write music that makes you to wonder how you created something so miraculous! Hundreds of musicians have already been though the course, and marveled at how much their creative musical powers increased with the training. You can read their stories and also investigate this cutting edge songwriting course by clicking here. magnificent!!! Brilliant!!!! and right on! I hear masterpieces in my head. Now I am trying to bring my musicianship up to a higher level, so I can create (or recreate) what I hear. This article is right on the money, this is exactly how to write great songs. Yeah I agree with you on this it should come from within not from what others tell us to do ..I feel we all have music in our soul smiles ..
You are wonderful Geoff ! I thoroughly enjoyed reading Your article,i found it interesting and very encouraging!!!!!!!!!! you're such a great mentor to have! am so grateful for knowing you! thanks a million times and do have a lovely day!